Psychiatric Malpractice - Can You Sue For Medical Malpractice? When you obtain the services of a psychiatrist, it is probably because you are seeking to improve your mental or emotional health. Some psychiatric patients are recovering from a specific traumatic event. Others may be dealing with a lifetime’s worth of anxieties and concerns. Either way, a psychiatrist is a medical professional who should be able to help – or at least not hinder – a patient’s efforts to improve his or her mental and emotional health. In some circumstances, a Chicago medical malpractice law firm can help psychiatric patients who have ended up as the victims of neglect or abuse. The abuse of someone’s trust is never more disturbing than when a patient seeking treatment is abused by the same medical professional who’s being trusted to provide help. In the greater Chicago area, if you believe that you or someone you love may be the victim of psychiatric malpractice, you should discuss your case and concerns with an experienced Chicago medical malpractice attorney. Psychiatric malpractice is considered medical malpractice and is handled by the law in precisely the same way. The relationship between a psychiatrist and a patient is deeply personal and intimate. No psychiatrist ever has the right to disrespect any patient or to treat any patient carelessly. Every professional in the field of medicine has a responsibility – and in fact takes an oath – to bring no mental, physical, or emotional harm to a patient. Every phase of psychiatric treatment should be aimed at helping patients to improve their mental and emotional conditions. Psychiatrists often have access to a patient’s most private thoughts and experiences, so everything that happens during psychiatric treatment should always remain confidential. WHERE CAN A VICTIM OF PSYCHIATRIC MALPRACTICE TURN? Unfortunately, some instances of psychiatric malpractice may never be reported because the victims may be uncertain about what constitutes malpractice. Psychiatric patients may sometimes find that their complaints are dismissed as exaggerations, paranoia, or an unwillingness to cooperate with psychiatric treatment. In some cases, even family members may dismiss the concerns. Where can a victim of psychiatric malpractice turn? An experienced Chicago medical malpractice attorney will not dismiss your concerns. If you believe that you have been a victim of psychiatric malpractice, an experienced medical malpractice attorney can review your situation, provide candid legal advice, explain your legal rights and options, and if it’s appropriate, fight aggressively for justice – and even for financial compensation – on your behalf. Under Illinois law (as well as the law in most other states), psychiatric patients who are victimized by any of these actions may have a claim to financial compensation. The right medical malpractice attorney will work tenaciously to ensure that a victimized psychiatric patient is justly and properly compensated for the harm that he or she has endured. Keep a journal and write a detailed summary of each visit with the psychiatrist. Also use the journal to record your prescribed medications, dosages, and any changes to those prescriptions and dosage amounts. Ask your psychiatrist exactly why a medicine is being prescribed and precisely what its intended effect is supposed to be. If you are at an inpatient facility, routinely write detailed letters describing your treatment and experiences to friends and family members you trust. HOW IS MEDICAL MALPRACTICE DEFINED IN ILLINOIS? Patients have a right to professional care when they seek treatment for their physical and mental health. Psychiatrists and all other doctors take an oath to uphold professional codes of ethics and to treat patients on the basis of those ethics. The medical profession maintains a high standard, and when the care provided by a healthcare professional falls below that standard, it may constitute as medical malpractice. The generally accepted “standard of care” in the medical profession includes the routines, processes, and procedures widely accepted throughout the medical community regarding the care and treatment of patients. If a psychiatrist or another medical professional, or a psychiatric hospital or clinic, causes a patient to be injured or harmed by failing to provide the acceptable standard of care, that patient has the right to file a medical malpractice lawsuit. Proving that a psychiatrist was abusive or negligent may require the testimony of a psychiatric authority who will testify – as an expert witness – that you would not have been harmed if you had been cared for by a typical, competent psychiatrist in similar circumstances. The plaintiff (that is, the patient making the claim) had a doctor-patient relationship with the psychiatrist. The psychiatrist was negligent in providing treatment and care to the plaintiff. That negligence was a direct cause of harm to the plaintiff. That harm can be documented and may include physical pain and/or mental suffering. 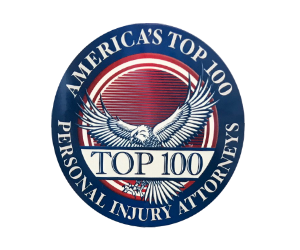 WHAT KINDS OF DAMAGES ARE AVAILABLE TO MALPRACTICE VICTIMS? When someone files a medical malpractice lawsuit in Illinois, he or she may obtain several types of awards if the lawsuit prevails. “Special” damages are paid for actual economic losses such as additional medical expenses and lost wages. In cases of psychiatric malpractice, a plaintiff can expect to receive “general” damages. General damages are compensation for physical and mental pain, emotional suffering, and what the law calls “the loss of the enjoyment of life.” Punitive damages are meant to penalize a doctor or a medical facility for particularly egregious negligence. Punitive damages are rarely awarded in Illinois medical malpractice cases. Professional psychiatrists have a legal and ethical obligation to meet their responsibilities to patients seeking psychiatric treatment. Negligence and malpractice are unacceptable, but an experienced Chicago medical malpractice attorney can usually help a victim of psychiatric malpractice win both compensation and justice. If you have endured abuse, negligence, or mistreatment by a psychiatrist or by the staff at a psychiatric facility, you should contact an experienced medical malpractice lawyer to discuss your legal rights and options.